Fashion watch with our copyrighted graphics. The diameter of the watch face: 4 cm. The dimensions of the strap: 2 cm x 23 cm. 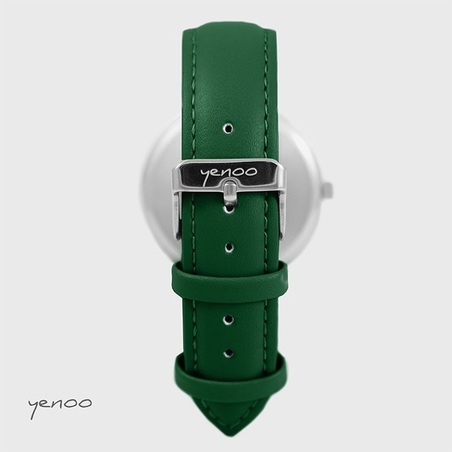 Adjustable strap, fits on the wrist: 15,5 - 21 cm. Case and buckle color: silver. 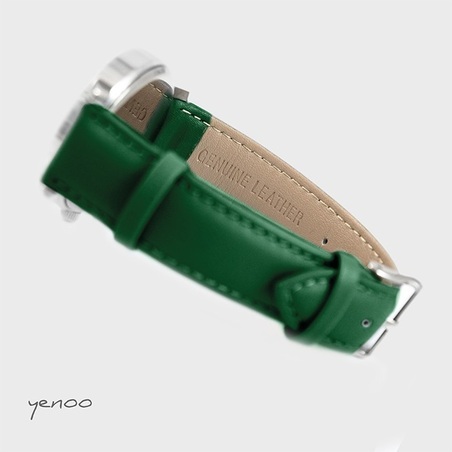 The strap is made of high quality genuine leather. 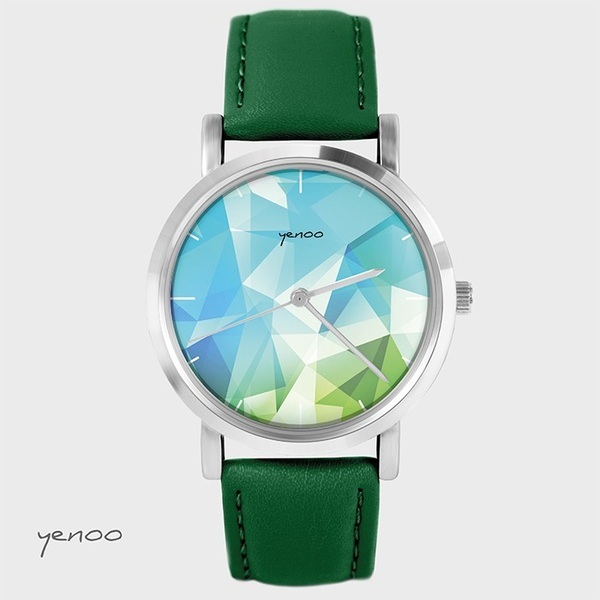 Precise, japanese quartz movement Miyota with a replaceable battery. 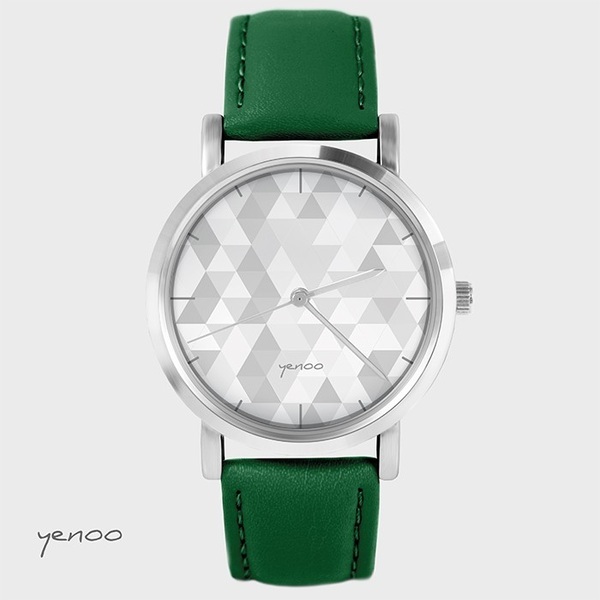 Buckle signed with the Yenoo logo. Finish in silver colour. Great for special events or everyday wear. All our products are decoratively packaged, ready for a gift.